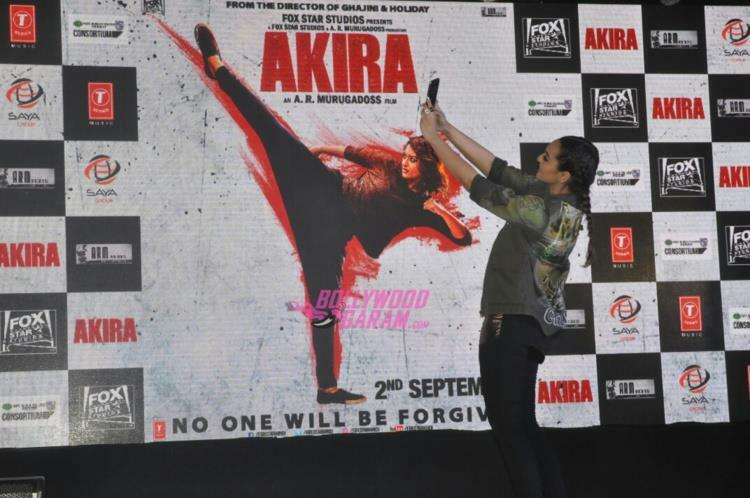 Actress Sonakshi Sinha lauched the song ‘Rajj Raj K’ from her upcoming movie ‘Akira’ at an event in Mumbai on August 3, 2016. Sinha was seen in a sporty look and interacted with the media. Talking about the song, the actress revealed that it was recorded in just 30 minutes. ‘Akira’ is the remake of the Tamil movie ‘Mouna Guru’ and is all set to hit the theatres on September 2, 2016.